The requirement to redraw Pennsylvania’s congressional map offers a unique opportunity to gauge the temperature for redistricting reform. By February 9, citizens will witness the degree to which the State Legislature will embrace neutral redistricting principles outlined in the Constitution. In the 2002 congressional map, the Legislature proposed districts with an overall deviation of 19 persons for the purpose of keeping voting precincts whole. 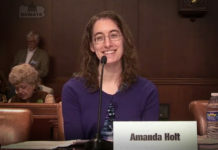 Courts noted this was a legitimate rational for a 19 person deviation, provided a lower deviation was not possible while still achieving the same goal. The recent Pennsylvania Supreme Court decision gives the State Legislature the opportunity to return to their original ideal. In the 2002 congressional redistricting, the Legislature considered it worthwhile to use minuscule and necessary population deviations expressly for the purpose of respecting the boundaries of political subdivisions. This ideal is memorialized in every revision of Pennsylvania’s Constitution. Unlike the State Senate and House districts, it is the Legislature as a whole who will vote on a new congressional map. Proof of their commitment to redistricting reform will be evidenced by the quality of the congressional map they produce and approve. 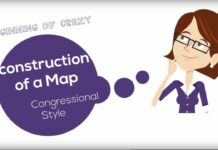 Concerned citizens should contact their representatives in the Senate and House to express loud and clear the type of constitutional map they expect. Will the State Legislature chose to use this moment in history to return to principles of good governance? Or will the citizens of Pennsylvania be left to continue to suffer from their mapping madness? Amanda: I’m impressed that you were able to shrink the difference to 17. My eyesight and patience usually give out around 300. Does the available data set really support this level of precision? Maybe the staleness of the census data will give the Court an excuse for more latitude. 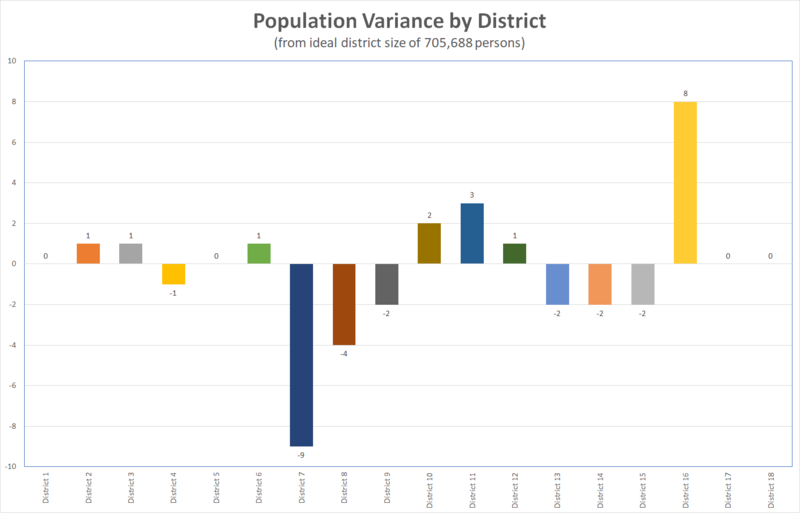 I think the quest for .0001% variation in district size has more to do with protecting maps from judicial challenge than any real difference in fairness. If one district has 705K voters and another has 706K, are people in the second district under-represented in any meaningful way? Anyway, I think the big problem with the 2011 map isn’t the number of voters in each district – it’s the way the lines around those voters were drawn. I vaguely recall one case where the federal court allowed some population latitude because of how much time had passed since the last census. But in general, federal case law consistently requires state’s justify any deviation from zero (no matter how small). Agree that state’s often use the alleged need for zero deviation as an excuse for absurd district boundaries with needless splits to counties and municipalities. I also think your map suggests that Democratic hopes for a dramatic shift in the delegation might be unrealistic. Even on this completely reasonable map, there are likely to be nine deep-red districts (3, 4, 5, 6, 9, 10, and 12 plus – less decisively – 11 and 18) and five deep-blue ones (1, 2, 7, 13 and 14). In the 16th, Republican Lloyd Smucker might face a tougher race than he’s accustomed to, but he would almost certainly win. In the 17th, Matt Cartwright would probably survive too. That district looks like a toss-up, absent a popular Democratic incumbent. By moving two Wilkes-Barre wards and several moderate suburbs from CD17 into CD11, and adding deep-red territory from CD10 to CD17, your version might even make Cartwright vulnerable. Among the real battlegrounds, it would take a significant blue shift to dislodge Fitzpatrick in CD08. Charlie Dent’s vacated seat in CD15 could go either way; it might lean slightly blue in your version, depending on who ultimately runs. So the most likely outcome – with roughly a 50-50 vote split and no “wave” in either direction – seems to be an 11R-7D congressional delegation, with the range of plausibility from 13R-5D to 10R-8D. What’s more, that seems to be the case with ANY reasonable-looking map. You can tweak it, without egregious gerrymandering, to move the peak of the probability bell curve to 12R-6D or maybe 10R-8D. To make major gains, though, the Democrats need more than just a fairer map. They need great candidates and a compelling agenda. In effect, most sane-looking maps involve the Republicans sacrificing the ridiculous 7th District to secure the rest of their turf. They managed to hold that extra 13th seat for three cycles. If they lose it now – with the incumbent retiring in disgrace anyway – and hold the other twelve, they’ve done pretty well. And that seems to be a pretty likely scenario, depending on nationwide trends and what happens in the Allentown area. Your 6th District is a bit more competitive than I thought. Rep. Costello still seems safe, unless the new lines attract stronger opponents. There might be other ways to draw CD06 that would make things closer, without sacrificing compactness or population balance.